This policy outlines the appropriate use of mobile phones on our school site. The widespread ownership of mobile phones among young people requires that school administrators, teachers, students, parents and carers take steps to ensure that mobile phones are used responsibly. This Acceptable Use Policy is designed to ensure that potential issues involving mobile phones can be clearly identified and addressed, ensuring the benefits that mobile phones provide (such as increased safety) can continue to be enjoyed by our students. YSBD Theatre Academy has established the following Acceptable Use Policy for mobile phones that provides teachers, students, parents and carers guidelines and instructions for the appropriate use of mobile phones during school hours. The Acceptable Use Policy for mobile phones also applies to students during school excursions and extra-curricular activities both on the school premises and off-site. 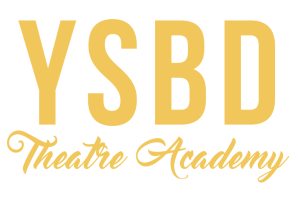 The staff at YSBD Theatre Academy recognise that many students and their families own a mobile phone. We also recognise that some parents/guardians request that their child brings a mobile phone to school for safety and security reasons. The school recognises that personal communication through mobile technologies is an accepted part of everyday life but that such technologies need to be used well. Our core business of teaching and learning needs to be conducted in an environment free from unnecessary distractions or disruptions. The school is prepared to allow mobile phones on the premises but only within the parameters of the policy as stated below. To inform all members of our school about the appropriate use of mobile phones at our school and to outline the procedures and processes of this policy. Our school accepts that parents/carers give their children mobile phones to protect them from everyday risks involving personal security and safety. It is acknowledged that providing a child with a mobile phone gives parents reassurance that they can contact their child if they need to speak to them urgently. It is the responsibility of students who bring mobile phones to school to abide by the guidelines outlined in this document. Parents/carers should be aware if their child takes a mobile phone to school it is assumed household insurance will provide the required cover in the event of loss or damage. The school cannot accept responsibility for any loss, damage or costs incurred due to its use. Parents/carers are reminded that in cases of emergency, the school Reception remains a vital and appropriate point of contact and can ensure your child is reached quickly and assisted in any relevant way. Except in urgent or exceptional situations, mobile phone use is not permitted during teaching time or when in the presence of students. In accordance with the Acceptable Use Policy staff should not use personal devices for photography in school. Only School cameras or devices are to be used. In general, pupils should not bring valuable items to school, as they can be easily lost or stolen. Pupils remain responsible for all of their personal effects whilst at school. When students enter the school premises the school takes no responsibility for mobile phones. Mobile phones are brought to school entirely at the owner’s risk. The school accepts no responsibility for replacing lost, stolen or damaged mobile phones. There are no reasons why a pupil needs to have in their possession or use a mobile phone during the school day. Parents are reminded that in cases of emergency the school Reception/Principal remains vital and appropriate points of contact and can ensure your child is reached quickly and assisted in any appropriate way. Pupils are advised that if in exceptional circumstances they bring a mobile phone onto the school grounds during the school day, the phone should be kept in the student’s bag which is stored in the room where the student is attending class. The phone is stored at the owners risk and school will accept no responsibility for replacing lost, stolen or damaged phones. If pupils do bring their mobile phone to school it should be clearly marked with their name. For safeguarding reasons parents are advised not to use camera phones to take images on the school grounds unless prior consent is requested. Parents should not place images of other children taken at school on social media sites without permission from the parents involved. Mobile phones should be on mute throughout the duration of the day. Parents/carers are requested that in cases of emergency they contact the school reception so we are aware of any potential issue and may make the necessary arrangements. While on school premises mobile phones are not to be used by students. Unless express permission is granted, mobile phones should not be used to make calls, send SMS messages, surf the internet, take photos or use any other application during the school day or while on school premises. The Bluetooth function of a mobile phone must be switched off at all times and not be used to send images or files to other mobile phones. Using mobile phones to bully and threaten other students is unacceptable. Cyber bullying will not be tolerated. In some cases it can constitute criminal behaviour. If the use of technology humiliates, embarrasses or causes offence it is unacceptable regardless of whether ‘consent’ was given. It is forbidden for students to “gang up” on another student and use their mobile phones to take videos and pictures of acts to denigrate and humiliate that student and then send the pictures to other students or upload it to a website for public viewing. This also includes using mobile phones to photograph or film any student or member of staff without their consent. It is a criminal offence to use a mobile phone to menace, harass or offend another person and almost all calls, text messages and emails can be traced. Mobile phones are not to be used or taken into changing rooms or toilets or used in any situation that may cause embarrassment or discomfort to their fellow students, staff or visitors to the school. Should a student be seen with a mobile phone on school premises, the phone will confiscated and not returned until the end of the school day. It is unacceptable to take a picture of a member of staff without their permission. In the event that this happens the student will be asked and expected to delete those images. Students should mark their mobile phone clearly with their names. Students who bring a mobile phone to school should store is safely in their bag. The school accepts no responsibility for students who lose or have their mobile phones stolen while in school. It is strongly advised that students use passwords/pin numbers to ensure that unauthorised phone calls cannot be made on their phones (e.g. by other students, or if stolen). Students must keep their password/pin numbers confidential. Mobile phones and/or passwords may not be shared. Students who are seen with a mobile phone on school premises will have their phone confiscated by staff. It will not be returned until the end of the school day. On the first infringement of this policy the mobile phone would be confiscated by the teacher and taken to a secure place within the school. The school has the right to take action if a student is involved in incidents of inappropriate behaviour, that are covered in this agreement, when a student is out of school and where they involve membership of the school community (examples would be cyber-bullying, use of images or personal information). threatens or is likely to threaten the safety or wellbeing of any person; or is in breach of any law. Inappropriate use of mobile phones will include students using them to bully, intimidate or otherwise harass other people through any SMS or text message, photographic, video or other data transfer system available on the phone. This type of misuse will be dealt with under the Behaviour Policy. It should be noted that it is a criminal offence to use a mobile phone to menace, harass or offend another person. The school may consider it appropriate to involve the police. Any student who uses vulgar, derogatory, or obscene language while using a mobile phone will face disciplinary action. Students must ensure that files stored on their phones do not contain violent, degrading, racist or pornographic images. The transmission of such images is a criminal offence. The procedures applying to the inappropriate use and security of mobile phones, apply equally to the inappropriate use of portable computer games, iPod and similar devices. Exemptions of this policy can only be approved by the Principal and then only in exceptional circumstances. Pupils are not required to have a mobile phone and we support parents who make the decision that this is not necessary by ensuring that pupils are able to use the school landlines to contact parents in an emergency. Parents can, of course, contact school via the landline. This policy does, however, recognise that the majority of our pupils own a mobile phone. Any pupil who brings a mobile phone into school does so at their own risk and school will not be held responsible for any loss or damage.